Continuing to use the asteroids this section will look at the Asteroids via the Aries Point, also known as the world point. Since we all share the world we also share the Aries Point making this another wonderful way to learn and begin to use the asteroids. The next New Moon April 5, 2019 is several weeks away giving us plenty of time to use this chart for study in the asteroids and how they work in predictive charts. In looking at the whole axis we can put these little rocks together for even more detail and conversation regarding what is going on in the world. 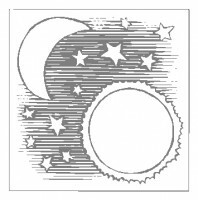 First of all, if there are any questions regarding the Aries Point and what is meant by the arms or axis of the Aries Point, check out either the article or the web clip entitled “the dial” on the website “www.divinationcounselingservice.org. Starting with the fact that Vesta (work and goals) could be highlighted. The Nodes are also in this axis and this can indicate connections through work or goals, but it can also speak to the fact that others can be cold and distant. Panacea is also there which could tell us there is a focus on solving problems. Some of these contacts and connections could be at a distance as well with the asteroid Vesta but it may be that those connections (Nodes) could be related to solving some problems or issues. The fact that Panacea comes with Lachesis (interruptions/disruptions), so we can assume that some resolutions will be disruptive or change course mid-way or part-way through. This can cause others to be Vesta (cold and distant). Eos (early mornings or being scattered) makes an appearance. This describes at the very least the way those disruptions can make us feel. This asteroid is also retrograde so it may not be obvious what is causing life to feel so scattered. It also indicates that due to work it may be important to start early in the morning in order to give ourselves the best chance to resolve problems. The health Asteroid Hippocrates is also here along with Terpsichore (body). Indicating that all that is going on could have an affect on one’s health. Then again with Panacea there, solutions and resolutions are possible. Terpsichore reminds us that body image and body language can go along way both in making impressions on those contacts/connections via the Nodes. Daedalus (clever, displaced consequences) and Atropos (endings) are also in this axis. In can indicate anything from clever endings to ending situations where others tend to allow the consequences of their actions fall on others. Be wary that with the Node (connections/contacts) in the axis that you are not running into those people who are indeed guilty of this action. This is just a glimpse from these asteroids. Not only can they mean many things in all the different combinations, but there are of course more asteroids that could be employed down the road as we get more of the little rocks under our belt.